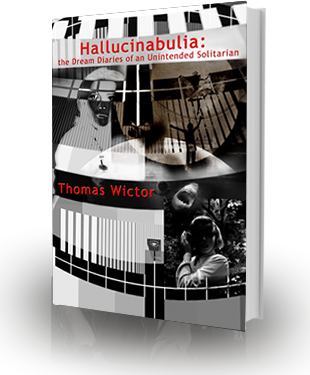 Wictor’s book does not chronicle a method for analyzing those dreams, nor does it offer a therapeutic or spiritual analysis of those dreams. Hallucinabulia is, instead, a living archive, a journey shared with brutal honesty and without pat answers, but one that ends in hope. —Reverend Dr. Frederick W. Schmidt, Jr.
Wictor is an honest and effective writer who has essentially offered himself up for complete dissection. His dreams range from comically nonsensical to utterly terrifying, with plenty of strangeness and, occasionally, joy, in between. Dreams? More like nightmares! Reading the Scott Thunes-centric portions of this book were like looking into my own brain and seeing little pictures of Tom everywhere. Not a pretty sight. I saw somebody read this book on the Last Train to Bookville, and they were— It’s too horrible to repeat. Ok, I’ll tell you: They were dead, black blood dripping down their jaw, eye sockets empty except for worms squirming, and they were smiling. 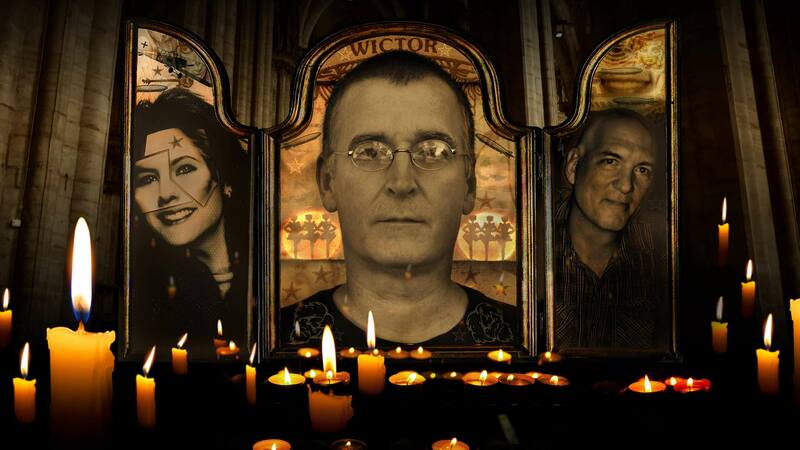 Tom Wictor wasn’t going to write any more, forever. Thomas Wictor’s penetrating self-awareness exposes the connections between ultra-realism and complete fantasy. Literary self-mutilation has never been so rewarding or enlightening. Hallucinabulia is a tantalizing slice! In spite of the dreamer’s clear distress at the time, some of the dreams are horrific, a few are poignant, others, laugh-out-loud hilarious. Themes of failure and humiliation, self-loathing and frustrated helplessness strike universal chords, though showbiz celebrity cameos (Bill Cosby, Jennifer Aniston, Emma Thompson, a miniaturized Sean Connery, Charlie Sheen in hell) are a bit further afield. Readers intrigued by bizarre, Inception-style voyeurism of a well-traveled writer/musician’s innermost recesses should dare venture into this Nightmare on Wictor Street. Remembered, surreal dreams become the prose equivalent of Salvador Dali paintings and films.